Rather than being redesigned completely, the Teana receives a belated facelift. Is it too late? Cars usually receive a mid-life facelift when they turn three years old in a given generation. 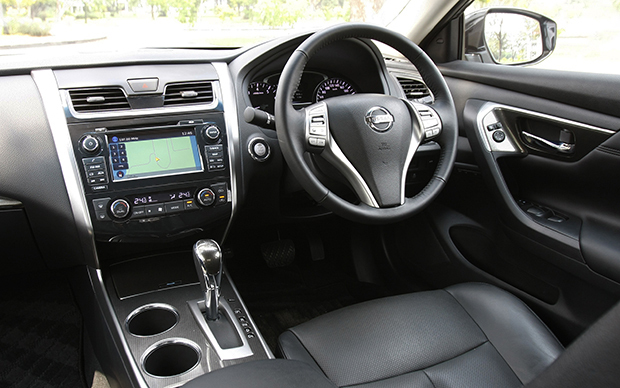 This means that the Nissan Teana, which hit the market in 2013 in its current form, should be seeing an all-new replacement no later than 2019. However, that isn’t the case. Instead, today’s Teana has only gotten a facelift for the first time. Some driver aids also accompany the update, although the engine range remains the same. 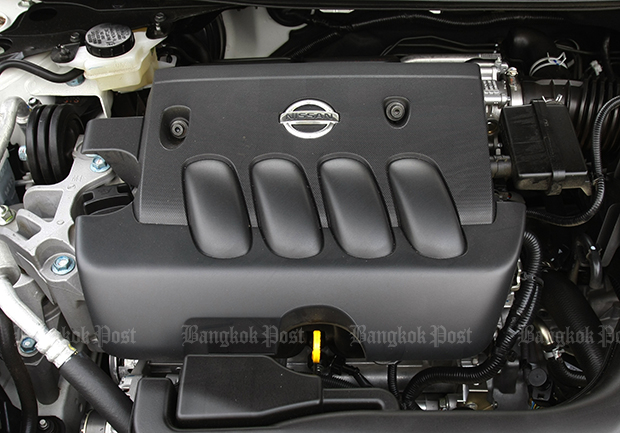 All of a sudden, Nissan’s timetable of new car launches seems ill-timed in Thailand. Apart from the recent introduction of Toyota’s all-new Camry, Honda is planning to do likewise with the Accord early next year and is previewing the next-gen model at the ongoing Motor Expo. That said, can there still be anything good in the Teana, which once stood out with a highly comfortable interior? 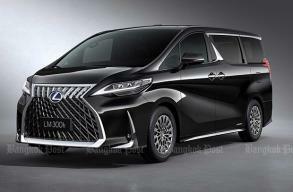 Tested here is the 2.0-litre model priced at 1.449 million baht in XL Navi trim, some 5,000 baht dearer than the well-kitted versions of the similarly engined Accord (current model) and Camry. 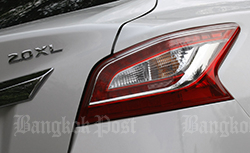 The new nose job given to the Teana is quite marked when compared to the pre-facelift model. 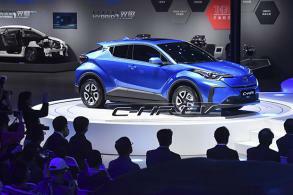 Which is quite a good thing because it does help freshen up its presence and complies with the brand’s current design language (V-motif front grille). 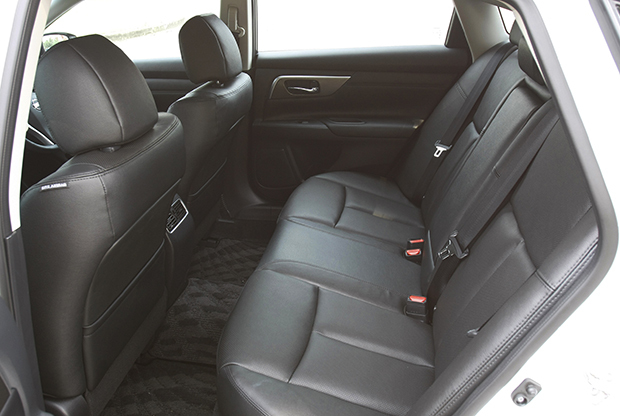 The cushy seats that have been one selling point ever since remain and make the Teana quite a nice place to spend time in. The rear chairs, in particular, have a stadium-like feel and make the ambience airy. 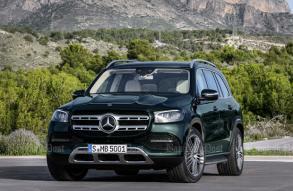 Despite the fascia showing its age, it’s still fairly easy to use and now has more functions operating some new driving aids that are frequently beneficial for the real world like blind spot, lane departure and rear cross traffic alert systems. Cruising refinement remains equally competitive, for the ride is mostly absorbent and engine noise muted sufficiently. As ever, it’s the engine, despite it being hooked up to a reasonably smooth CVT automatic. 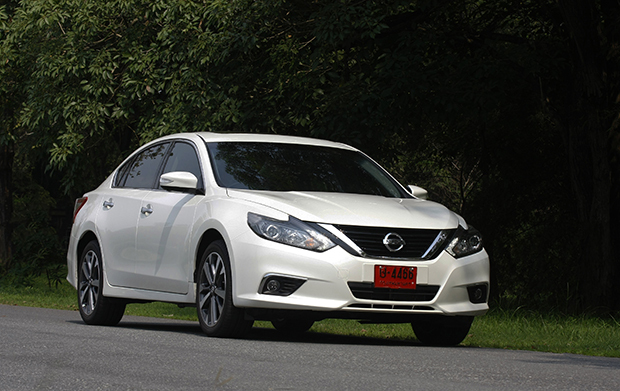 With only 136 ponies to play with, the Teana feels gutless outside of town and only energetic at low speeds. While sat-nav (and Bose audio) is certainly welcome in this spec, the sunroof is sort of pointless because it unnecessarily pushes the car’s price up. Although the seats are almost as cushy as your favourite armchairs or sofas at home, they lack lateral support. This is especially pronounced in the presence of the Camry. And sure, the Teana rides nicely, but it doesn’t steer with enough precision and can’t conceal its cumbersome proportions. If you happen to have a highly restrained driving style with a strong preference for ride and cabin comfort, the Teana hasn’t changed much and could be on your shopping list for a “reasonably priced” mid-size saloon from the Japanese car camp. But rather than coming with attractive prices to offset its age, the Teana goes the opposite way around. And we haven’t mentioned yet about its inferior engines specs with the (cheaper) Camry equivalent, which has a more potent 167hp of power and higher fuel efficiency rating of 15.6kpl (13.5kpl for the Teana). A reason for this is also due to CO2 taxation. The Camry manages to undercut the 150g/km level and use E85 gasohol to attract 20%; the Teana needs to face 30% because it emits 177g/km and can only use E20 at the most. Whichever way you look at the Teana, it’s really too old to compete now. That’s because the Camry, for one, also majors on the Teana’s highlights and is better to drive and cheaper in price as well. Although the Teana can still put up with a short-lived fight with the Accord, it has been knocked out by the Camry onto the canvas.